On 23 April, we go on a dazzling adventure back in time to the middle ages where we will learn the secrets of ancient medicine and magic. 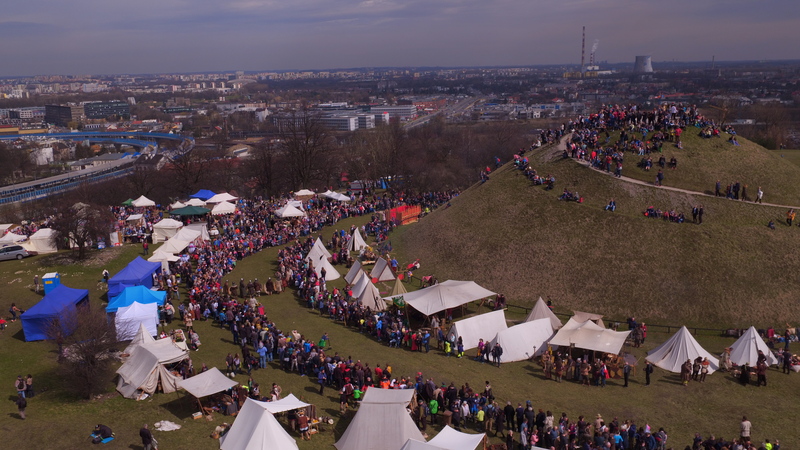 The Traditional Rękawka Festival at the Krakus Mound recalls pagan rites celebrating the arrival of spring and promising prosperity and a bountiful harvest in the coming year. 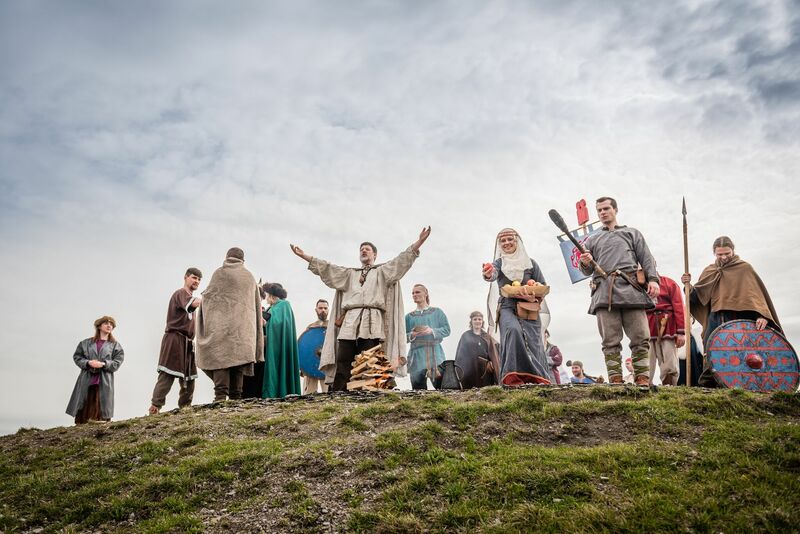 On the first Tuesday after Easter, we will discover what life was like in mediaeval settlements and learn how Slavic, Scandinavian and Hungarian tribes maintained hygiene, treated illnesses, cared for wounds and dealt with “unfortunate events”. 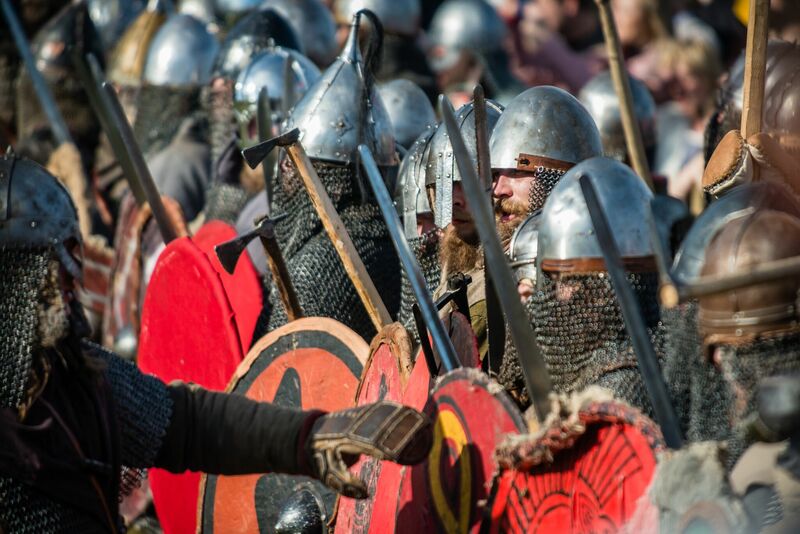 We will seek advice from witches, Scandinavian goði, shamans, alchemists and herbalists, take a peek at a Slavic village and admire clothes worn at the time. Legend has it that this is the last resting place of the legendary founder of Kraków. And in reality? Few facts are known, while one mystery chases another. Duke (according to another version – king) Krak (or Krakus) is considered the legendary founder of Kraków. When he died, in gratitude for his generosity, kindness, and just reign, his subjects built him a tomb in the form of a mound. Here ends the legend. 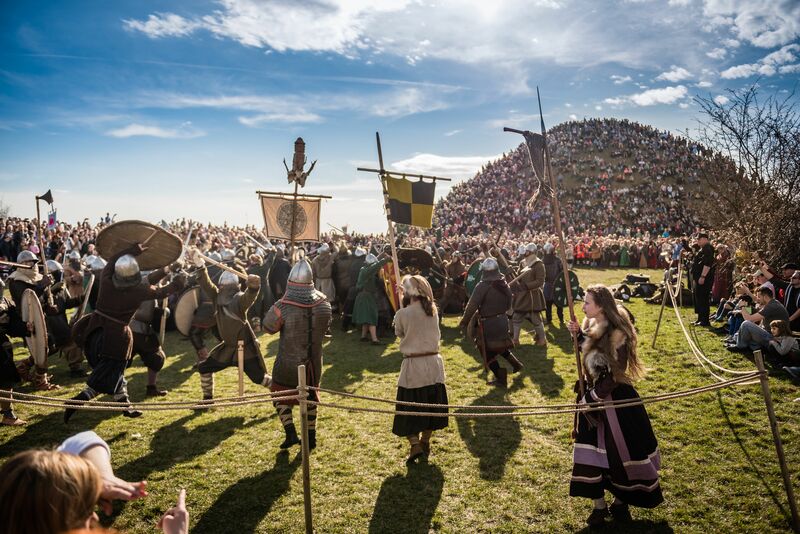 Few facts have been established: it is certain that the mound is the city’s oldest structure, that it is 16 m (52.5 ft) high, and its diameter at the base is 60 m (200 ft), and that it stands on the right bank of the Vistula (in the district of Podgórze), on the limestone plateau of Krzemionki. The rest is a mystery: when, thanks to whom, and why was a mound built here? Nothing is known for certain. 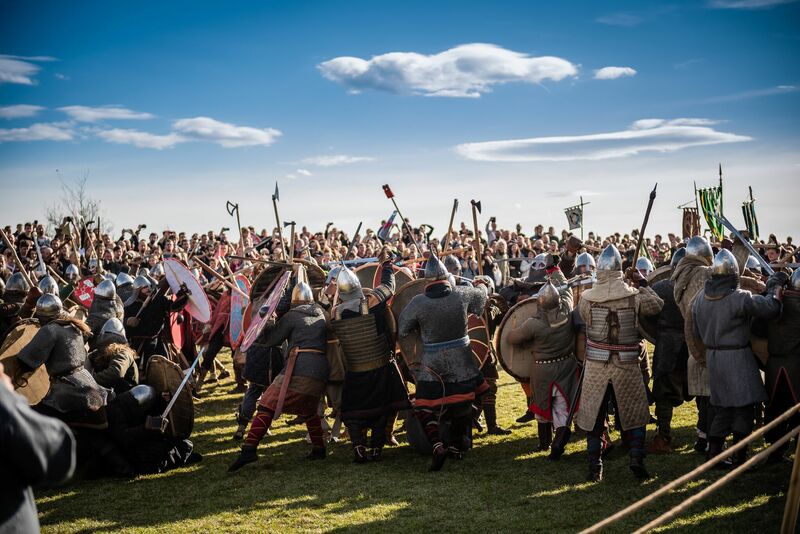 It might have been raised in the 8th century, an opinion supported by a bronze Avaric clasp from the period (Panonian Avars, a nomadic people from Central Asia arrived in Eastern Europe in the 6th century AD) found by archaeologists inside the mound. However, some academics would rather see its origin connected to the Celts and their astronomical calendar, and date it to the 1st century AD. The position of King Krakus Mound towards Wanda Mound, 10 km distant (in Nowa Huta) is believed to support that. In pre-Christian times, the mound was quite probably the scene of Slavic rites, in remembrance of the departed, and observed in the spring. The dead were hailed here, and wakes were organised. The tradition of feasting on and by the mound continued into Christian times, and the rites turned into a regular festivity. During the merrymaking, bonfires were lit, fencing contests organised, and food and money were dropped to the poor from the top of the mound. 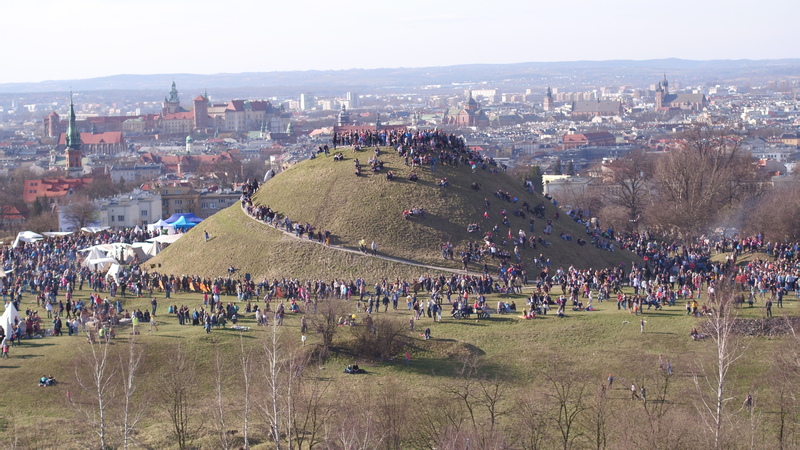 This indulgence, held even today on the first Tuesday following Easter – by the mound and by the minute Church of Saint Benedict on the neighbouring Lasota Hill – is known as Rękawka: linguists derive the name from the Czech rakew (coffin) or Serbian raka (grave), which may confirm the mound as a place of venerating the dead ancestors, or simply being a grave. In turn, local tradition says that Krak’s people carried the soil to build his grave in their own hands and sleeves (ręka and rękaw), and that this legacy is commemorated in the name. Still, we know nothing for certain. The mythical founder of Kraków jealously guards his secrets.